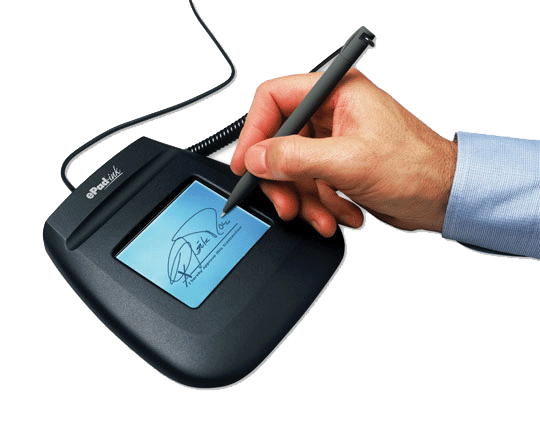 Digital Signatures – are they enough? With use of tablet technology increasing, we ask the question – is a ‘digital’ signature good enough? When you sign for goods delivered to your office- is the signature on the pda device presented to you completely legal? The answer is more complicated that you might have thought. A recent verdict from the Munich Court of Appeals in Germany ruled that pure electronic signatures are not sufficient to make agreements binding on consumers. The court decision means that for any consumer contracts, a physical signature is required first as opposed to a pure digital signature written on a tablet or touchpad device. For businesses this presents a challenge, because a digital copy is also required to accompany any paper based document. However, if you use a written document in a productive way, you can manage and process your data within a shorter timeframe. For example, there are public and private organisations using data capture technology which allows you to sign the document in ink, which in turn is captured in electronic format at the same time, creating an efficient solution. The crucial elements are obtaining signatures that can be used for legal requirements – and also the fact that a hard-copy original can be left with a customer, in addition to the electronic version back at the office, which can be checked, distributed and acted on immediately. Previous Previous post: Today Is World Paper Free Day! So What Are You Doing About It?